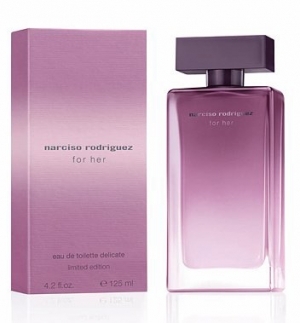 Narciso Rodriguez For Her Eau de Toilette Delicate Limited Edition is launching for 2012. 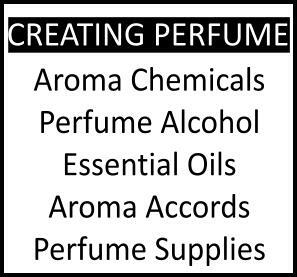 The fragrance is somewhat changed compared to the original NR For Her and features notes of vetiver, musk, african orange flower, amber, coriander, vanille, bergamot and black fig. Available as eau de toilette in 125ml/4.2oz bottles of light purple and a matching box. 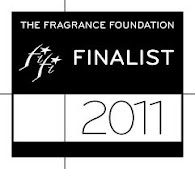 For a breakdown of all the variants/editions of Narciso Rodriguez For Her perfume, consult this link (with pics) and this one for the NR Musk Collection perfume editions.